CLEANER AND SERVICING MACHINE. 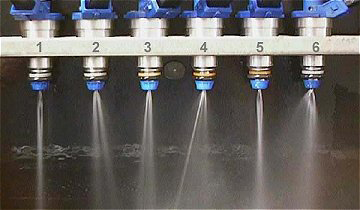 Testing fuel injection systems and cleaning and servicing fuel injection systems. BENCH TESTER AND OFF CAR TESTING OF INDIVIDUAL FUEL INJECTORS. SEE INSTRUCTIONS ON HOW TO TEST AND REBUILD FUEL INJECTORS. · Operation Voltage 110/220 Volts AC 50/60 Hz. · Ultra-sound cleaning tank (in stainless steel) of 100 Watts / 40KHz, with capacity for 1 liter (3 liters available as optional). · Micro processed equipment, totally programmable. · Includes test liquid high pressure pump with filter. 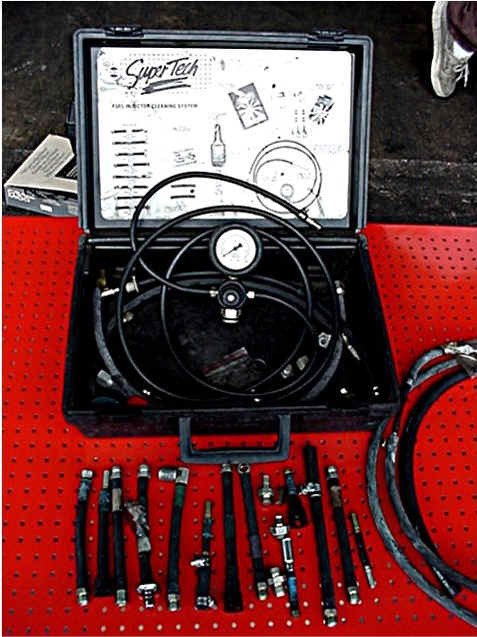 · Includes manometer of 0 - 4 Bar for test pressure reading. · Includes electronic adjustment of test pressure and memory for pressure of mono or multi point injectors. · Includes 4 probes for test liquid recovery, with electric emptying. Rpm: 0-9975r/min. step: 25r / min. Pulse width: 0 - 30 ms. step: 0.10 ms.
Count: 0 - 9975r / min. step 25r / min. Power supply: 85 - 132 VAC / 170 VAC 47_ 63 HZ. New model for 2 injectors at one time. Great for motorcycles, Outboards or cars. Actually flows the injector while you watch. Vary the pulse width, speed and pressure. ASNU Ultrasonic fuel injection cleaner. 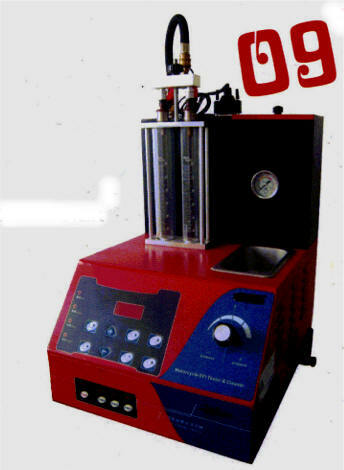 Known world-wide as the "BEST" bench top cleaning and testing machine. Can handle 8 injectors at a time. new filter baskets, pintle protection caps, spacers and O-Ring seals. volumes and correct electronic operation. et, they are ready to be returned to the engine. All results are recorded on the ASNU Service Report Pad. 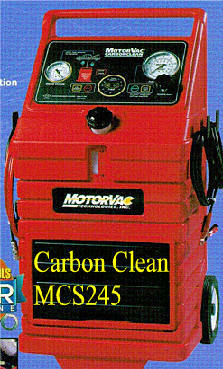 INCLUDES ONE CASE OF DETERGENT THE MCS245 IS THE FIRSTGASOLINE ENGINE SYSTEM OF ITS KIND TO CLEAN THE FUEL SYSTEM. WHEN USED WITH THE PROPRIETARY MOTORVAC CARBON CLEAN FUEL SYSTEM CLEANING DETERGENTS, THE MCS245 CLEANS THE AIR PLENUM, THROTTLE BODY AND PLATES, AIR BYPASS VALVE, INJECTORS, CARBURETORS, INTAKE VALVES, COMBUSTION CHAMBERS, OXYGEN SENSOR AND CATALYTIC CONVERTERS.... WITHOUT HAVING TO REMOVE ANY ENGINE COMPONENTS. MOTOR VAC'S 2 - LINE CLEANING SYSTEM CONNECTS TO THE ENGINE THROUGH SPECIFIC ADAPTORS, TEMPORARILY REPLACING THE VEHICLE'S FUEL SYSTEM. DURING THE FIRST PHASE ( WITH THE ENGINE OFF ) THE SYSTEM PASSES A POWERFUL - YET - SAFE MIXTURE OF MOTOR VAC MV3 DETERGENT THROUGHOUT THE VEHICLES ENTIRE INJECTION RAIL & FUEL REGULATOR. THIS REMOVES DEPOSITS THAT BUILD UP IN THE AIR PLENUM, FUEL RAIL, INJECTOR SCREENS AND THE PRESSURE REGULATOR AREAS. DURING THE SECOND PHASE OF THE CLEANING PROCESS ( WITH THE ENGINE OFF ) THE INTAKE SYSTEM IS CLEANED. THE LOW FOAMING ACTION DISSOLVES SOFT CARBONS AND STARTING THE ENGINE DRAWS THOSE LOOSENED DEPOSITS INTO THE ENGINE WHERE THEY BURN AWAY DURING NORMAL COMBUSTION. IN THE FINAL PHASE, THE ENGINE IS STARTED AND THE CLEANERS GO TO WORK ON THE INJECTOR PINTLES, ENGINE VALVES, COMBUSTION CHAMBER, OXYGEN SENSOR AND CATALYTIC CONVERTER. DEMO MODEL AVAILABLE FOR ONLY $2,500.00 LIKE NEW OR BRAND NEW PRICE IS $3,495.00 MOTORVAC INDUSTRIAL DIESEL FUEL INJECTION CLEANER. THE COMPLETE FUEL SYSTEM SERVICE AND DIAGNOSTIC CENTER. SAFE FOR USE IN ALL DIESEL ENGINES, INCLUDING HEAVY-DUTY TRUCK APPLICATIONS. PATENTED MICROPROCESSOR-BASED FOR EASE OF USE. LOWERS EXHAUST OPACITY AND HARMFUL EMISSIONS. AUTOMATICALLY MAINTAINS CORRECT PRESSURE AND FLOW FOR WORRY-FREE OPERATION. 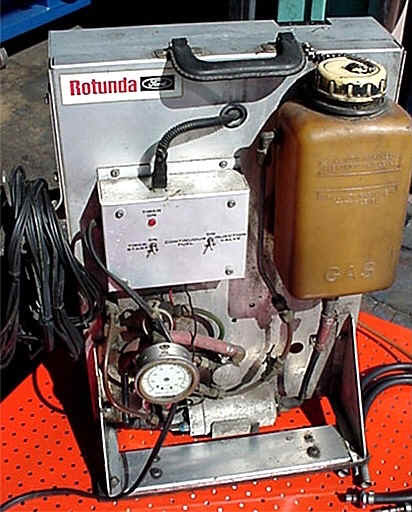 WORKS ON PORT FUEL, TBI, CIS & CARBURETED SYSTEMS. 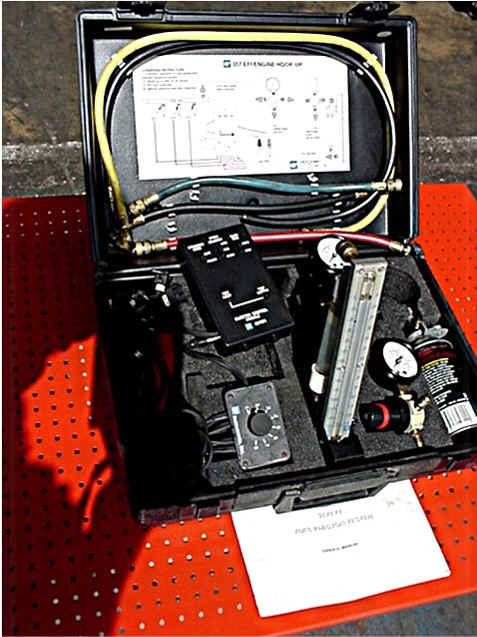 New OTC 6000 Fuel Injection testing kit. Includes adaptors for most Us and Import vehicles. Two pressure gauges included. Price is $ 350.00 if you also purchase a Model 7448 canister for $225.00 additional, this kit will also clean injectors. Cleaning fluid is $90.00 per case of 12 16oz. cans. New OTC model 7448 canister for cleaning and de-carbonizing fuel injectors. If you already own the adaptors, just purchase this canister for $ 225.00 and some chemical, and you can make good money cleaning injectors in the vehicle. 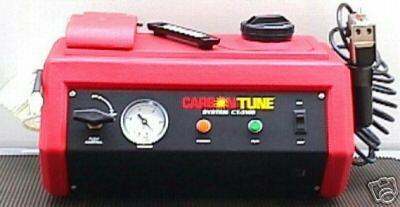 Fuel Injection Tester Out of the vehicle tester. Was used in a Lincoln Mercury dealership.